Here at Modern Dog, we would do anything to protect our furball family members. When emergencies occur, however, we can’t always be there to ensure the safety of our pets. That’s why we here at Modern Dog love I Love my Fur Kid, a service that allows you to create custom emergency pet signs for your home. With your choice of background colour and text, these signs allow you to feature a photo of your beloved pet that will inform others of your pet’s presence in the house during an emergency. Hang the sign in your entrance way, foyer, outside your door or in your window – wherever it is most visible so that others will know that there’s a furry friend inside to rescue! If you’d prefer not to include photos or have too many pets to feature them all, you can opt to use a generic version of the sign – simply write with a sharpie to add extra details to the sign. 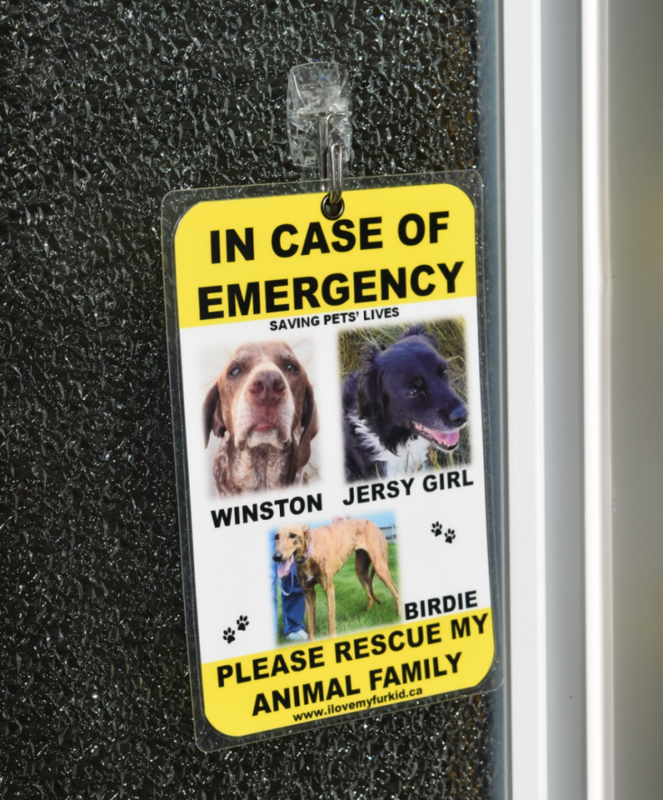 On top of emergency pet signs, I Love My Fur Kid can create travel kennel tags, book marks, and fridge magnets you can customize with pictures of your pets. Our favourite option is the Pets Home Alone Key Chain–if for any reason you fall ill or become injured, this key chain will help others know you have a pet at home that needs assistance. You can add a phone number to the card or opt for a generic version in case you update your number frequently (write in your number in sharpie, and use a magic eraser to remove it). Whether or not your pooch is a leash puller, we’ve certainly all experienced that difficult judgement call–do I pull hard on the leash to keep my dog safe, or risk the danger to spare my pup the neck pain? Although using a traditional leash and collar can seem like the only option, Buddy Belts has found a way to break tradition in an aim to help dog’s health. 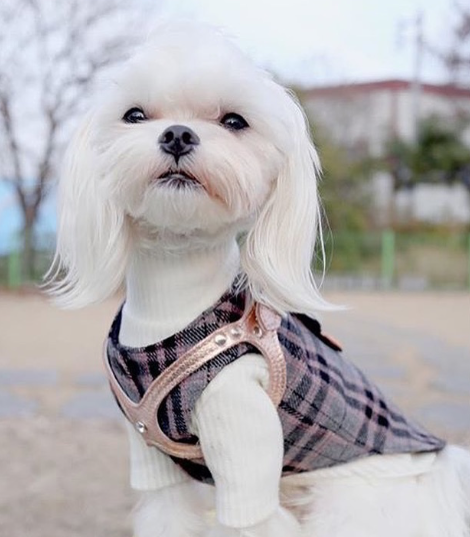 With a thoughtful and practical design, we love that these handcrafted leather harnesses are built to reduce stress caused to a dog’s neck, spine and throat when walking on leash. Created originally for Buddy, Buddy Belts founder Roxanne’s miniature Dachshund, Buddy Belts were built specifically to prevent the choking and coughing dogs can experience when walking with a traditional collar and leash. Although it’s the most common way to secure a leash when walking a dog, the pressure around the throat this arrangement causes can lead to health issues overtime. Rather than attach a leash at the neck, the unique patented design of the Buddy Belt allows the leash to be fastened between the shoulder blades, secured to your pup by the two holes that hold the front legs. By eliminating pressure around the neck, the Buddy Belt can help to keep your canine friend secure and safe from accidental injury. Not only are these harnesses easier on your dog’s neck, they’re also super practical for dog owners. Buddy Belts are available in 11 sizes to accommodate dogs big and small, and its easy-to-use design includes an o-ring that slides to accommodate leash mobility while the Buddy Belt stays snug against your dog. Here at Modern Dog, we really appreciate when a product not only keeps our dogs safe and secure, but does so with style! 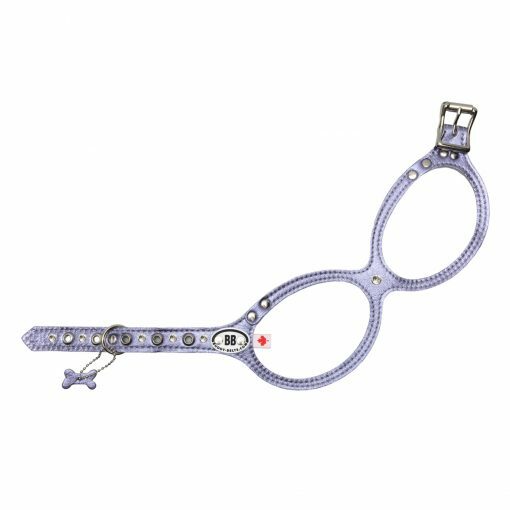 With a vibrant selection of colours and hues, you’ll find a Buddy Belt that suits you and your pup best–our favourite right now is the adorable Pixie 2.0 that features a periwinkle leather and allows you to add clear crystals for a bit of shine. Want to learn more about Buddy Belts' founder? 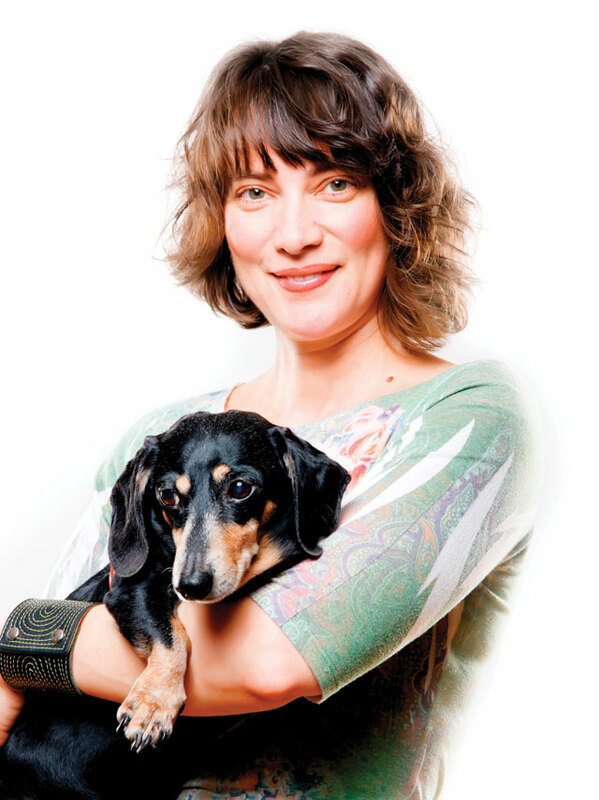 Learn how she turned her love of dogs into a career! Here at Modern Dog, we never pass up a chance to honour and cherish our furry family members. That’s why we love Lisa Bane Art’s beautiful pet portraits. 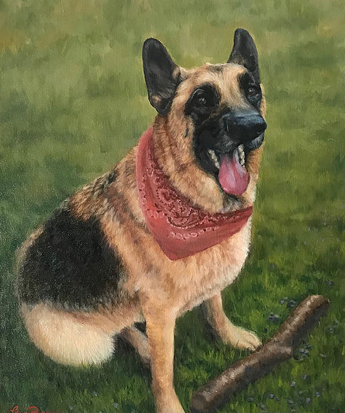 A perfect combination of realism and artistic vision, these portraits help you to capture the unique qualities your dog possesses in a painting that will last for years to come. Currently living and working in New Stanton, Lisa Bane has always had a passion for art. As a child, Bane loved to draw, and her mother’s work in landscape paintings inspired Bane’s creativity in her formative years. Having once been a registered nurse, Bane had to take a leave from physical work due to rheumatoid arthritis. Although a difficult illness, this is what inspired Bane to return to her love of art full time. Bane now fully embraces her passion for portraiture and continues to improve her craft through the creation of commissioned original work. What we love most about Lisa Bane’s portraits is her attention to detail. Through only paint and canvas, Bane is able to capture the personality of her subjects, honouring each and every marking, the texture of fur, and the expression in a pet’s eyes. Not only are these paintings a wonderful reminder of your beloved dog, they capture the essence and character of your pup in a piece of art that you can continue to cherish long after they’re gone. Although these paintings are strikingly lifelike, Bane can paint any animal as long as she has a reference point from which to paint. 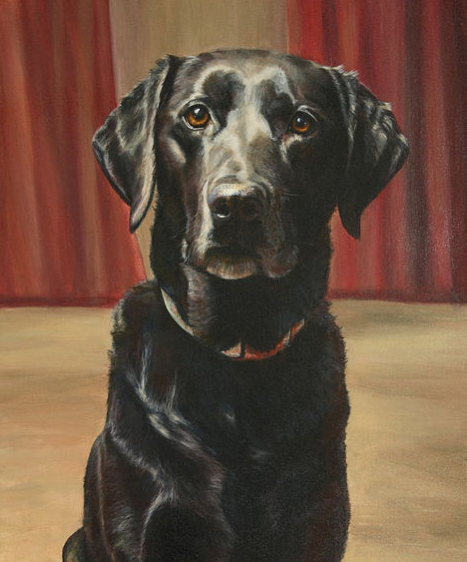 For a more intimate painting process, Bane is also open to painting pets in person, or meeting with your pet to create preliminary sketches while completing the final product in studio. Here at Modern Dog, we know how hard it can be to watch your pup go through pain or suffering. 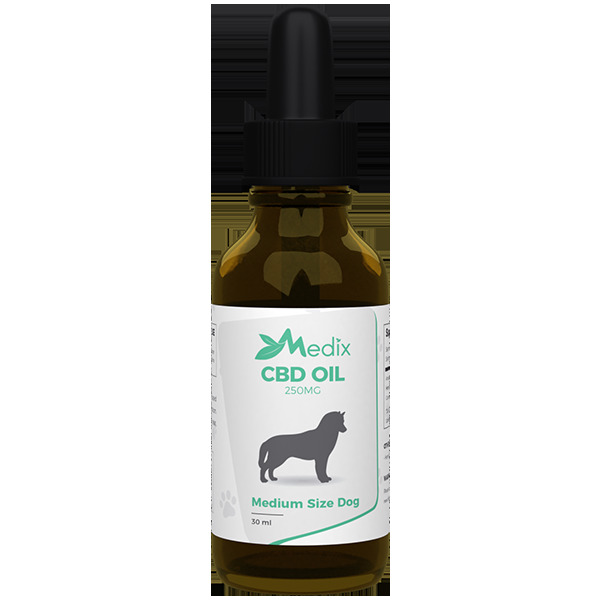 That’s why we want to you to know about Medix CBD Oil for Dogs, a high-quality product custom built for canines that can help to ease your dog’s discomfort. If you’re not quite sure what CBD is, don’t worry, you aren’t the only one. CBD or cannabidiol is derived from hemp much like THC; however, unlike THC, CBD is non-psychoactive, and therefore cannot get your dog ‘high’. Not only is this component of hemp safe for dogs to use, it can be very beneficial for dogs as a means to relieve pain, reduce anxiety, stimulating appetite and more. With a delicious bacon flavour, Medix CBD’s high-end tinctures are tested and certified to ensure a high-quality formula. With only four ingredients, Pure CBD, hemp seed, bacon flavour, and vitamin E, there’s no second guessing what you are administering to your dog. We love that this tincture not only includes straight forward ingredients, but also features a mouthwatering meaty taste to ease the administration process. To give CBD to your dog, simply add these smoky scented oral drops to your dog’s food, treats, or water bowl. With formulas built specifically for small, medium, and large dogs, dosing is made easy – a serving size is 1 ml, but can be adjusted according to your pet’s condition under your veterinarian’s recommendation.